After graduation, she traveled for seven weeks to countries like Israel, France and Greece. During the almost three-month trip Melanie Vandersluis decided to create her own line of bracelets inspired by real people. A lover of light, Mel wins over her followers through her tips on how to get the best out of their photos. Join Mel Vandersluis on her getaway with friends to the Dominican Republic, full of inspiring ideas. Follow her! Fresh fruit, cocktails and dinner overlooking Punta Cana beach. Mel Vandersluis makes you a gastronomic offer you cannot refuse. 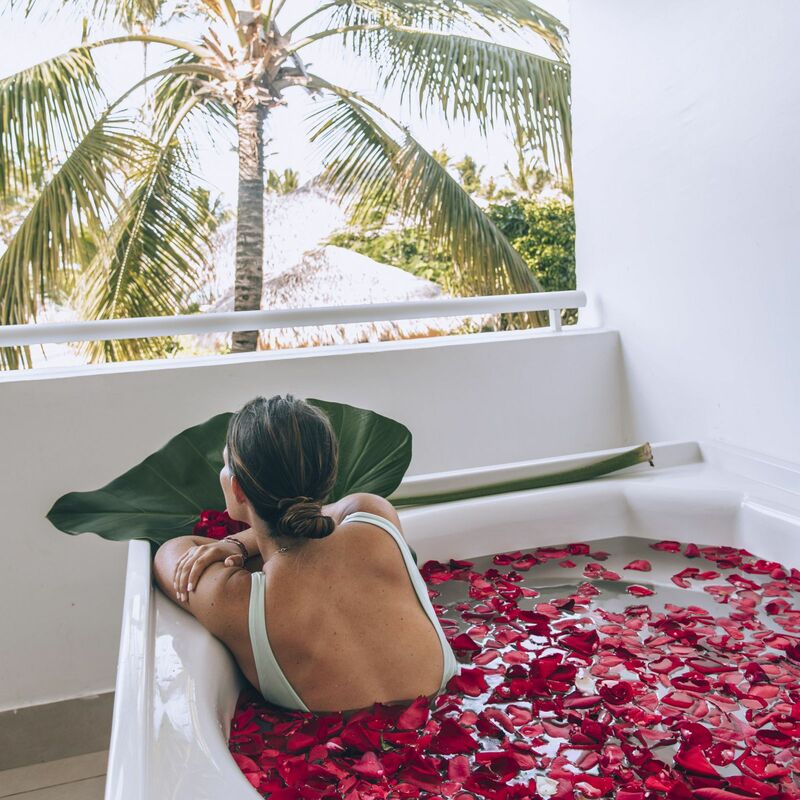 Red petals, champagne, endless palm trees and crystal-clear waters. The authentic paradise at your disposal in the Occidental Punta Cana hotel. Enjoy the most unforgettable boat excursions when staying at the Occidental Punta Cana hotel. The best way to explore the Dominican Republic!